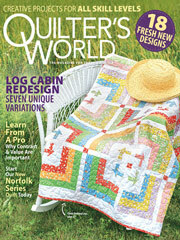 Use this free quilting pattern to combine hand quilting and tying. Then and add buttons to the plain blocks to hold the layers of this simple scrappy quilt together. Finished Quilt Size: 15 1/2" x 20 1/2". Block Size: 5" x 5".